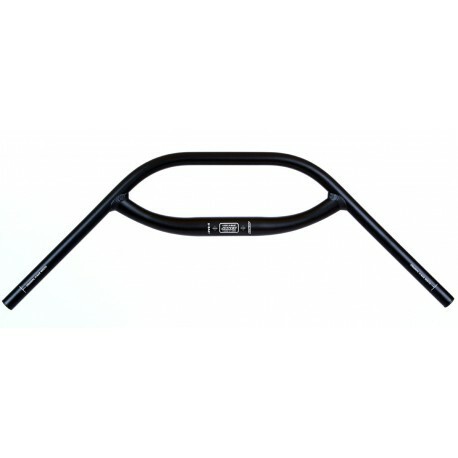 Jones H-Bars are available in three styles: Loop, Cut, Bend. 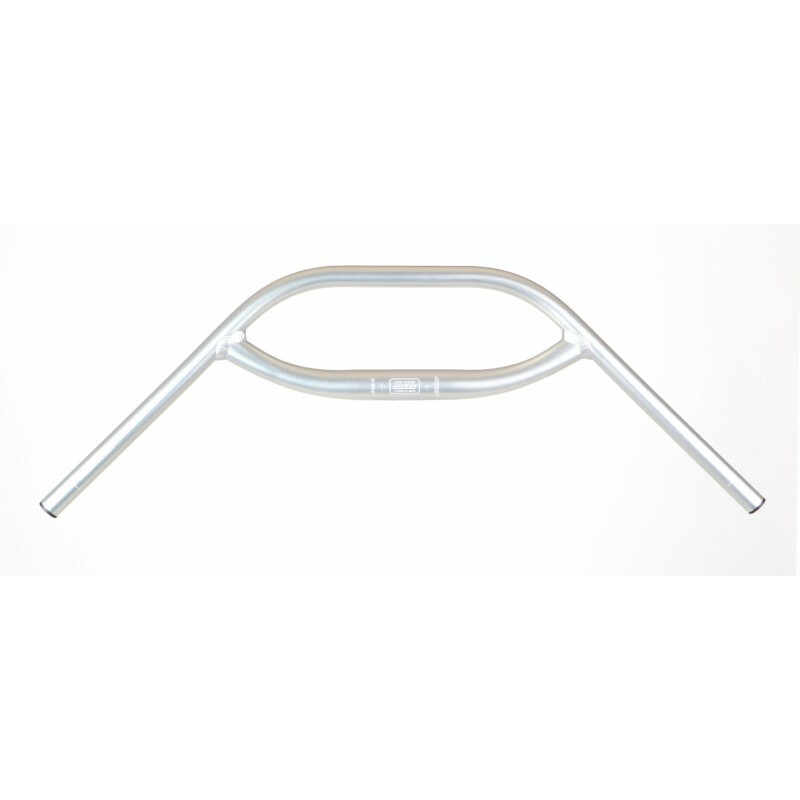 The Loop H-Bar is the most full-featured of the three: it has the widest range of positions, the most mounting options for gadgets and lights, and is the stiffest. The Cut H-Bar is almost identical to a Loop, but it looses the center section of the loop, and because of this it has less room to mount your gadgets. It's also not as stiff because the two grip tubes don't connect in the center. The Bend H-Bar is an H-Bar stripped-down to its bare essentials: long, 45 degree grip areas for amazing comfort and a few very good hand positions. It's a great way to get the amazing feel of a Jones H-Bar even if you don't need the whole range of positions and mounting locations. Most material/style combinations are available in two widths: 660mm and 710mm. Both have the same basic positions and the same shape, but the 710mm version adds a fully-upright position at the back of the grip area. This is a great position to have for touring and any kind of riding where you might want to sit fully upright without needing access to the controls. 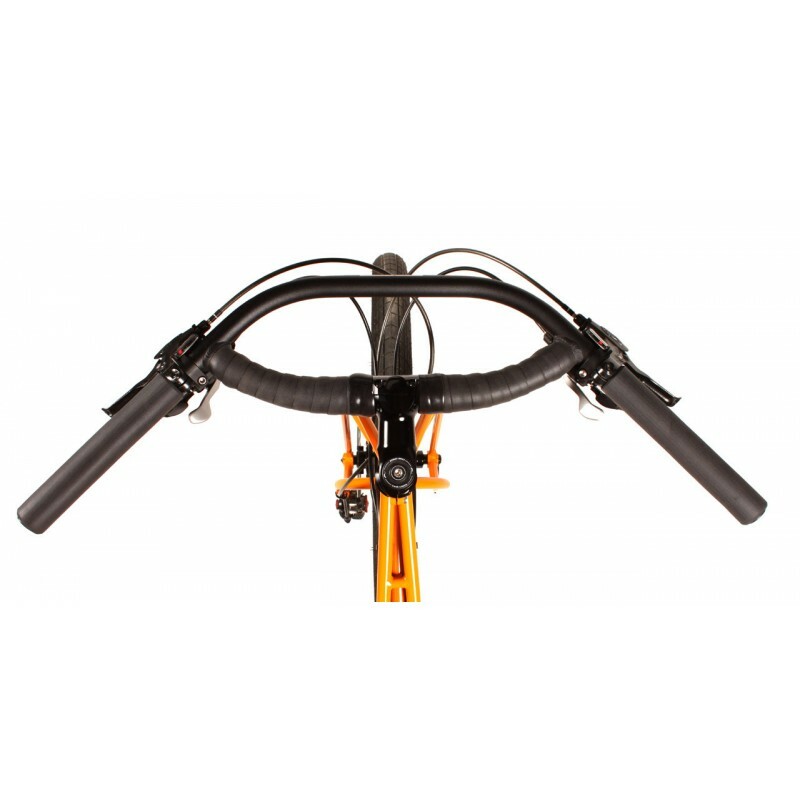 The 660mm version is best for navigating very tight singletrack or narrow city/commuting situations. The 710mm is our most popular width, and has laser-etched cut guides so you can cut it down to the 660mm width.